Short Business Description: Call HC Custom Upholstery for all your upholstery and fabric needs in New York City! More than just a workroom, they love taking on your challenging design projects. With over 20 years of experience, HC Custom Upholstery is a custom upholstery and fabric workroom operating with the most discerning New York City designers and clientele. Their team is composed of skilled workers committed to delivering superior customer service. They deliver all the precision sewing details you require on all fabrics including leather. Their custom upholstery projects are carried out with great attention to detail. 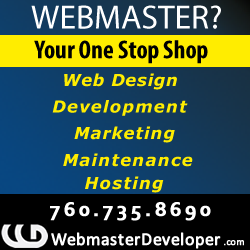 They are looking for customers who truly want the best possible work done the right way the first time. Contact them now! HC CUSTOM UPHOLSTERY is a custom upholstery and fabric workroom with over 20 years of experience working with the most discerning New York City designers and clientele. More than just a workroom, we love taking on your challenging design projects. We dedicate ourselves to providing you the very best craftsmanship, with honesty and trustworthiness. Let us bring your ideas to life! We build custom upholstered furniture according to your specifications. Seating, beds, and just about any piece you might need upholstered. 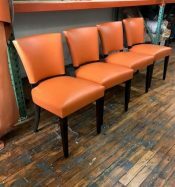 Our team will bring new life to your old pieces, with custom re-upholstery, refinishing, rejuvenation and restoration. We expertly upholster your walls, headboards and anything else you can think of. We also create your custom draperies, pillows, bedding and more with all the precision sewing details you require.